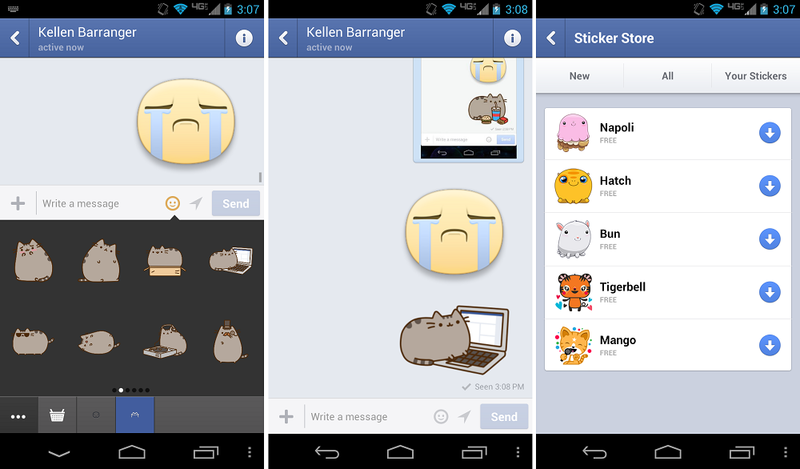 Facebook brings new stuff now if you are still using Chat Heads, part of Facebook’s Messenger application, then maybe you can get some use out of its newest feature, stickers. Now I know, Messenger was lacking one thing this whole time and it was certainly kitten stickers, so this should do the trick. To access stickers, simply hit the smiley face next to the location setting icon and you will see them pop up. If you hit the little shopping basket, you will also be taken to a store where you can get even more stickers. They are listed as free, so I’m guessing there will be an option to buy paid sticker packs in the future. How very uninteresting. Go grab it from the widget below!